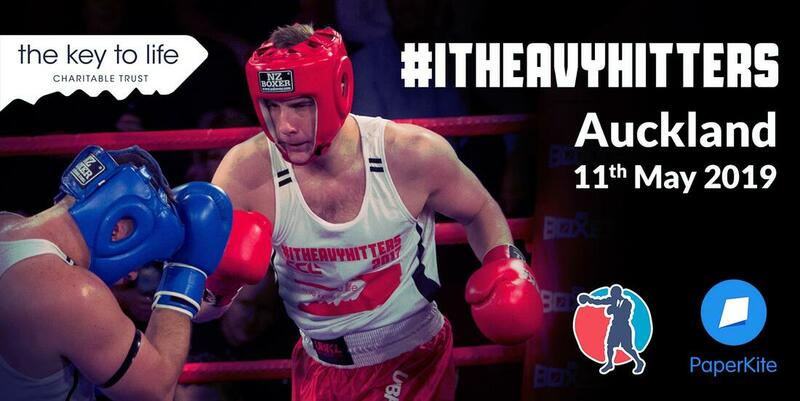 The PaperKite IT Heavy Hitters charity fight night is back for the 6th year and once again raising money for suicide prevention and mental health advocates The Key to Life Charitable Trust. So far IT Heavy Hitters has raised over $315,000 for The Key to Life Charitable Trust and we are currently working with the team to pull this together again for 2019, coming back to Auckland on May 11th. The Key to Life Charitable Trust is a registered charitable trust aiming to affect positive societal attitudinal change surrounding suicide prevention, suicide awareness and mental health in New Zealand. It’s a great cause and we look forward to making a difference to those affected by these issues. ​We take a group of IT professionals, provide qualified training and instruction and glove them up. The result is an evening of explosive boxing action. On the night they’ll choose their walkout song, step into the arena and put all of their training into 3×2 minute rounds, scored and refereed by qualified officials. Doors open 5:30pm and first fight up at 6:30pm! R18 and no ID or ticket, no entry. We’re looking to host a huge night of fights along with some auctions and prizes up for grabs. Don’t forget to download our mobile app from https://itheavyhitters.com/ available early April 2019! For more event information visit event page on Facebook or click the link at the bottom of this page to head to their website.